You'll be £12.99 closer to your next £10.00 credit when you purchase Yorkshire's Seaside Piers. What's this? Pleasure piers are among the most distinctive and memorable creations of Victorian Britain. These magnificent and evocative buildings represent the exuberant, optimistic style of the British seaside resort at the peak of its popularity, and the Yorkshire coast possessed no less than six of these extraordinary structures. Today, only the pier at Saltburn-by-the-Sea remains, and, as a whole, only half of the numbers of piers built survive as fascinating relics of a lost age. 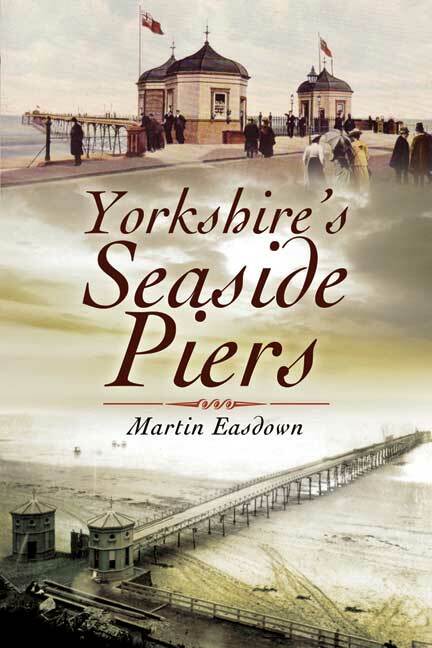 In this meticulously researched and highly illustrated account, Martin Easdown tells the story of the rise and fall of Yorkshire's seaside piers. The piers he principally describes in his lively narrative are the long-lost structures at Coatham, Redcar, Scarborough, Hornsea and Withernsea, plus the county's only surviving pleasure pier at Saltburn-by-the-Sea. He looks how they were designed and constructed, at the men who built and financed them, and at the hazards that beset them - fire, storm, ship collision, war damage and ever-threat of insolvency, that heralded their demise. The author, who is an acknowledged expert on the history of piers, gives a vivid insight into the deep impact of these structures on the social life, the economy and the character of the Yorkshire towns in which they were built. His entertaining book reveals - and records - a neglected aspect of Yorkshire's history.